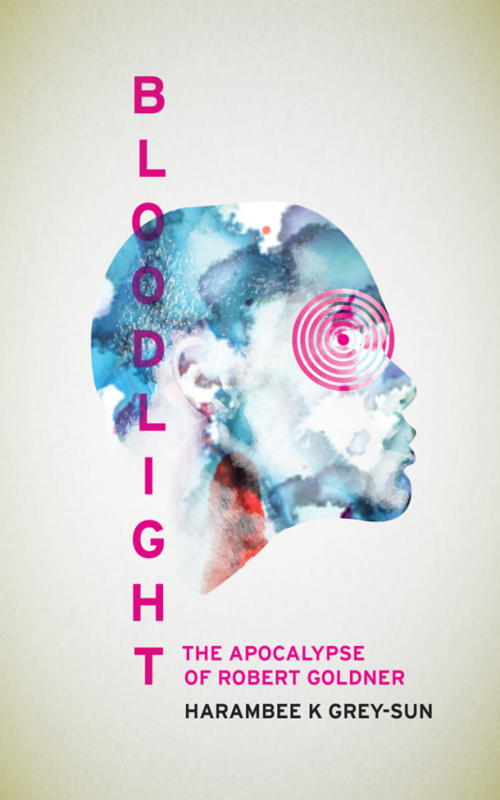 BloodLight: The Apocalypse of Robert Goldner by Harambee K. Grey-Sun is a vivid and often troublesome prequel to a series that hasn’t yet been finished. Readers, not ready for what the book offers, have largely dismissed the book as confusing, meaning Grey-Sun’s work hasn’t been appreciated as it might have been. Robert Goldner’s mother considered him a mistake before she was murdered on his birthday six years ago. As one of the few black kids on his school’s racist wrestling team, one who struggles with his sexuality, and one who struggles with severe acne, he wants to prove himself. His dream is to win the Virginia high school wrestling championship, but the medication he’s taking for his acne seems to be having strange effects on him – or is it something else? BloodLight is a prequel to the first in the Eve of Light series, Broken Angels (the second instalment has also been published, although the concluding book isn’t yet published). Although it deals with a teenage protagonist, the publisher and author (who appear to be the same person) are quick to point out it isn’t young adult fiction. Rather, this is weird fiction, with all the trappings of that genre – including an internal logic that doesn’t sit well with the realism of the modernist novel. Although the world of the book seems to be ours, there are subtle differences that signpost this as an alternate world: one where 9/11 was when the First Lady killed the President, the pharmaceutical corporations seem to hold some kind of power over people, and martial law is enforced by Heartland Security, which runs the country. The world is viewed through a dystopic lens, where liberal ideas are twisted by capitalism and state interference to become social ills. For example, guns are under more strict control and drugs are legal, but both these factors have negative impacts on society. There’s also some consideration of race – with Robert rejecting one of his black peers for being what he considers a negative stereotype. When Robert begins hallucinating, we’re unsure if it’s a conspiracy, a result of declining mental health or glimpses into something from Beyond. In surreal flourishes, the world is colourful and kaleidoscopic. Characterisation is symbolic rather than believable, narrative takes a backseat to imagery and there’s an unexpected apocalyptic Wonderland moment at the end. The novel is broken into three sections. These start in reality, progress to creeping madness, and end up in phantasmagoria. The styles of these three sections vary, with the first two being much more accessible and owing more to the realist tradition than the last section, but each of them feeling distinct and separate for the most part. Let’s be clear here: this is a challenging book for the average reader, but there’s much to commend its ambition and creativity. Stylistically and structurally, there are a few issues, perhaps, which suggests the self-publishing model Grey-Sun has used isn’t one that’s offering the critical extra eye his work needs. There are some issues which alienate readers, and arguably he focusses too much on setting up a future series at the expense of driving forward any narrative in this book. The prose is often dense and resembles poetry, with its bunching up of nouns and images, and this slows the reading experience but nevertheless provides some startling lines. These are issues that a keen editor might have picked up and helped him fix with a bit of guidance. It’s worth pointing out that the author, Harambee K. Grey-Sun, is a black poet, and this novel is inevitably shaped by the politics of his poetics. This is also a prequel, and so does a lot of setting up for the trilogy that follows. Those unfamiliar with weird fiction and slipstream in particular might struggle to adjust to the demands of the subgenre. With that in mind, I’d recommend readers start with the Eve of Light trilogy’s first book, the more straightforward Broken Angels (the blurb for the first book gives some major clues as to where the prequel is headed), as a place to initially dip into Grey-Sun’s world. BloodLight will make more sense then.